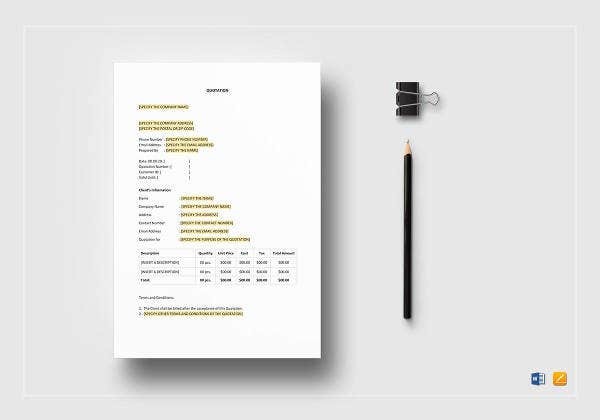 A quotation is issued by a provider to the customer, providing the latter with an estimated cost should the deal proceed. 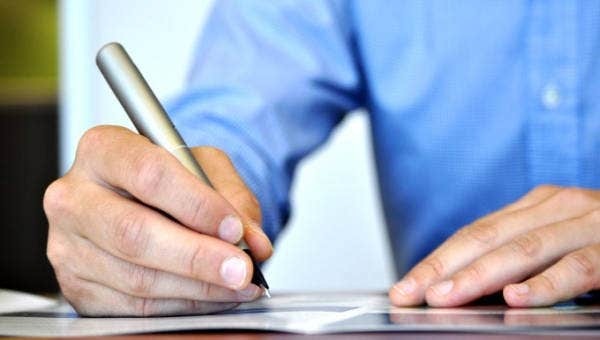 Though a quotation is mainly used to give the customer an idea of how much they’ll be paying for the goods and/or services, it can also be used as a legal document to protect both parties should the need arise. What is a Formal Quotation? Now that we have an idea about quotations, we will now be defining what a formal quotation is. 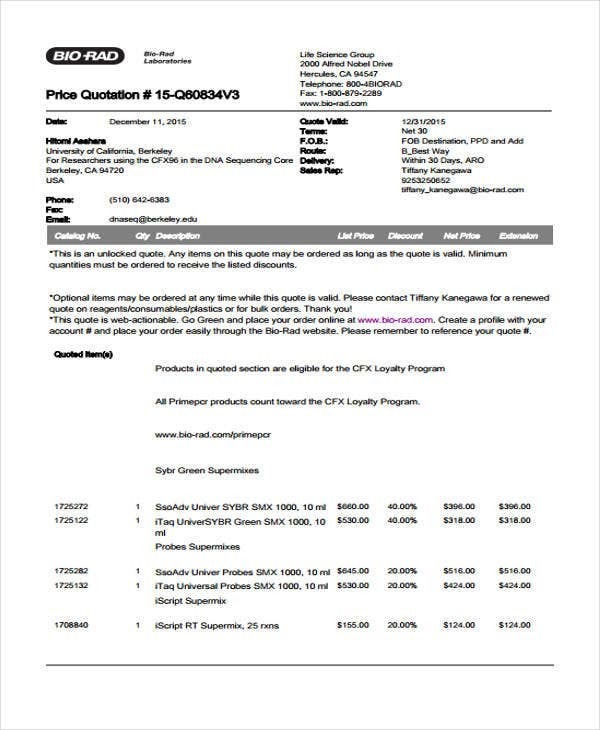 A formal quotations is a document used for purchases that go beyond a specific amount, usually at $10,000, or more, worth of goods and $25,000, or more, worth of service. 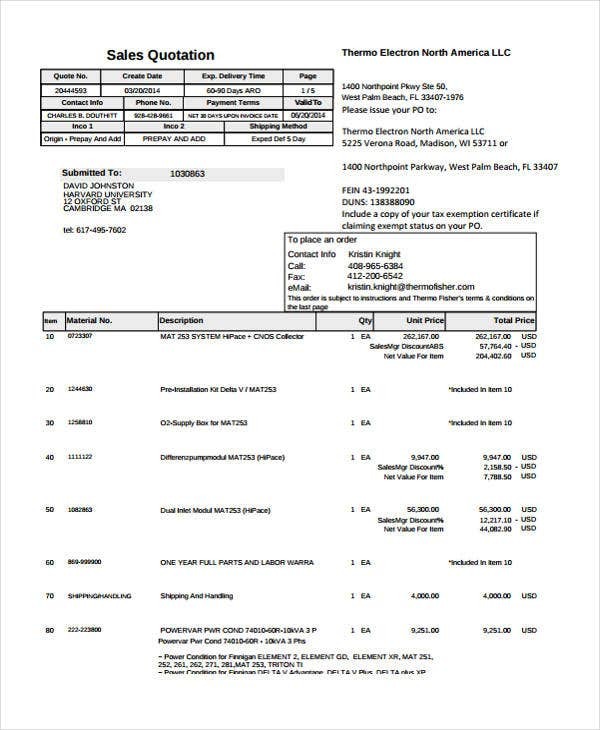 These amounts have already been imposed by certain standards and may vary according to the location. 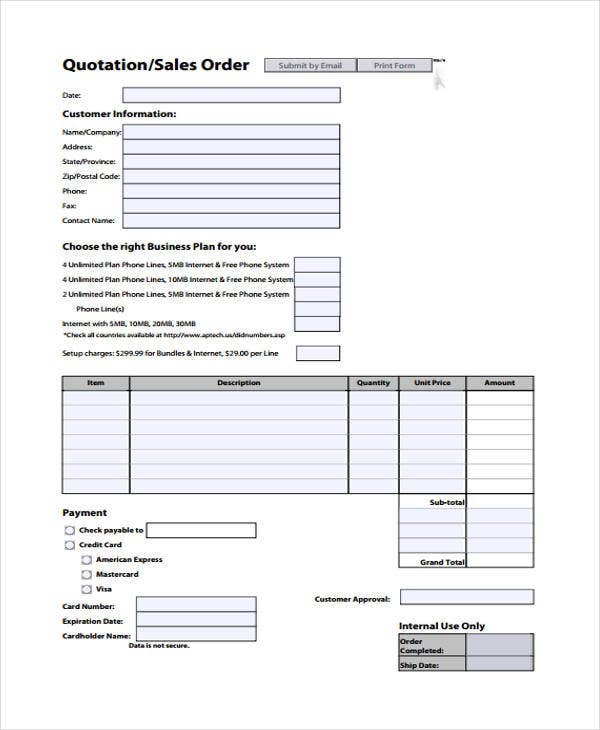 You may want to check out the quotation samples that we have to offer for you on this page. 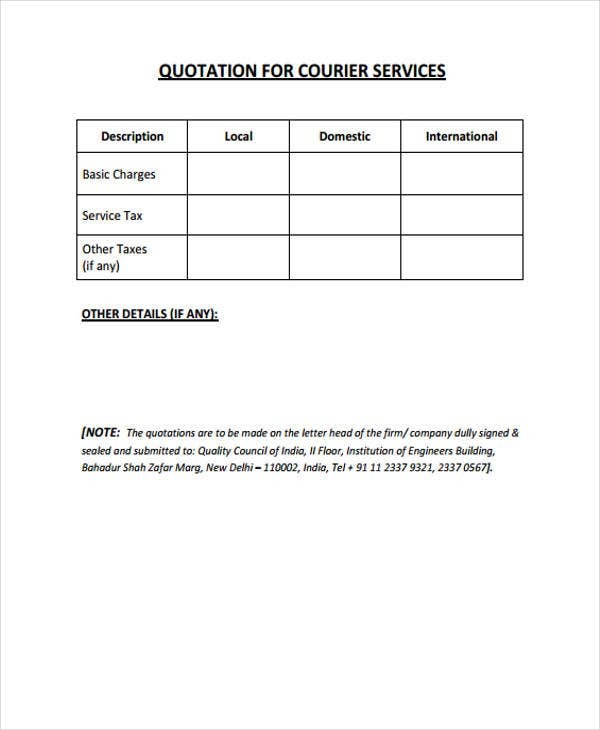 Follow the standard format when writing a formal quotation. This will make it easy for your prospective client to read. The format may vary slightly between companies, but it will always follow a particular standard. Use simple language when writing a formal quotation to make it both readable and understandable. It should be brief and to-the-point. Keep your formal quotation short and direct to avoid wasting the reader’s time. 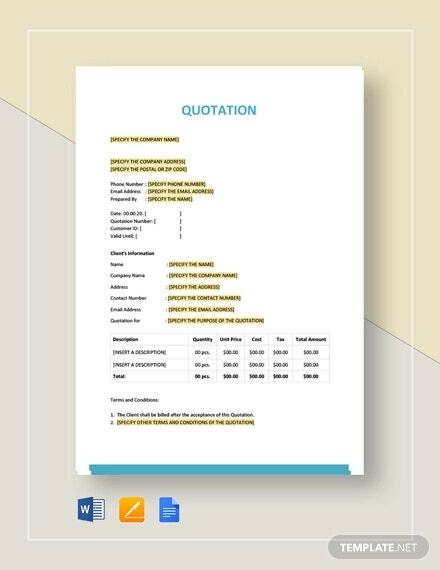 For some templates on quotations in general, you may check out our whole page of Quotation Templates. 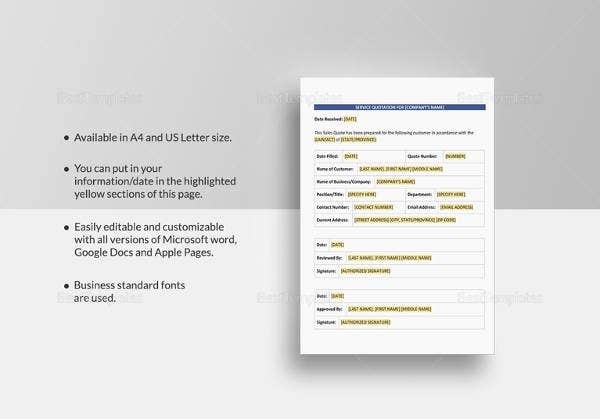 Header – Specify on the top portion the type of document, which in this case, is a quotation or a quote. Also, indicate the quotation number and the expiry date of the quotation. 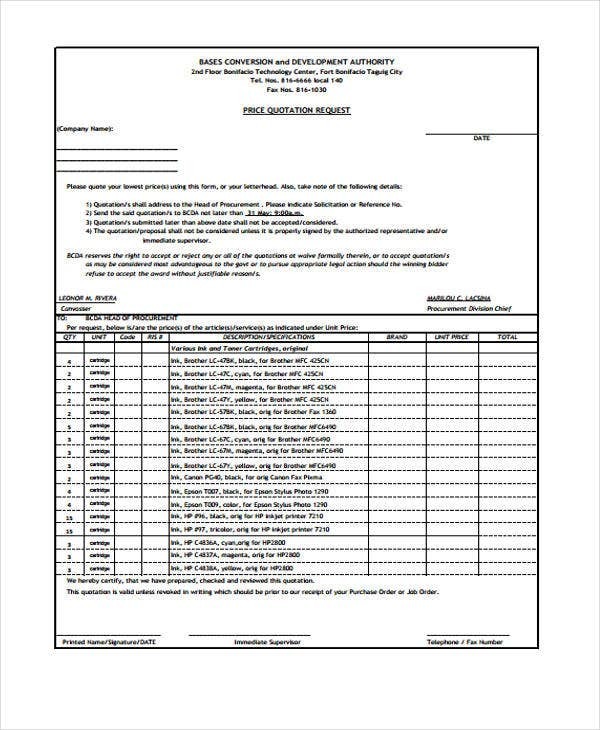 Supplier’s Information – Provide the name and address of your company, telephone number, email address, and website if applicable. 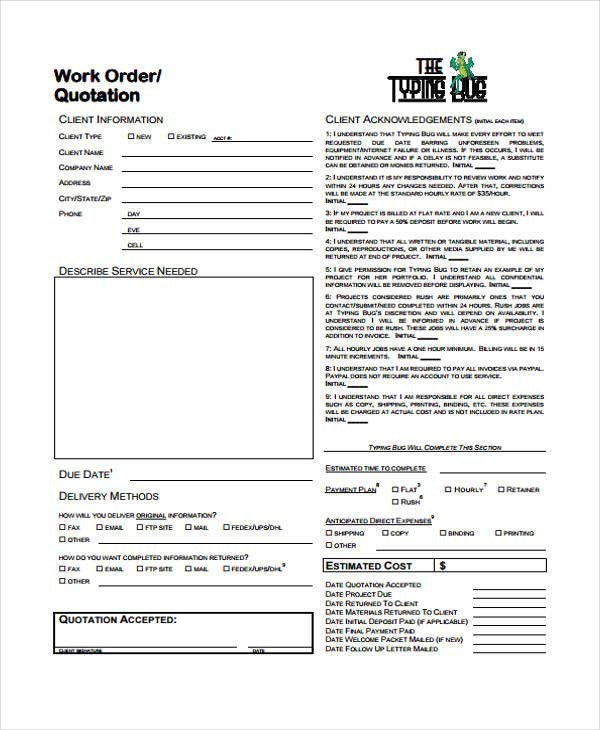 Buyer’s Information – Provide the same set of details as you did on the supplier’s information. Payment Terms – This involves both the frequency and the method of payment. Product Information – The name and short description of the goods, the quantity involved, unit of measurement used, price per individual unit, and overall price for all goods. You may also include here some additional expenses, such as transport costs and value added taxes. 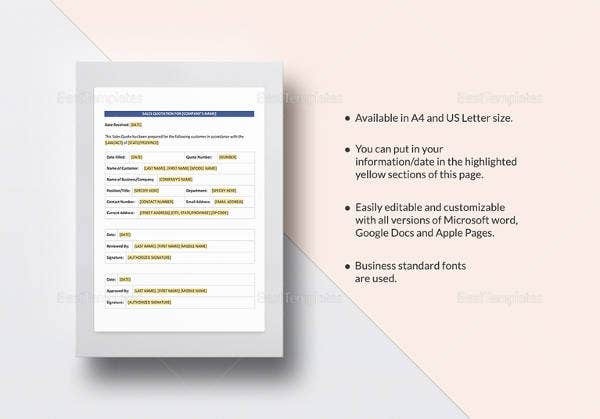 Footer – On the bottom portion, you may indicate the validity of the quote, the terms and conditions applied, other specific instructions, and a space where the buyer can write and sign their name. 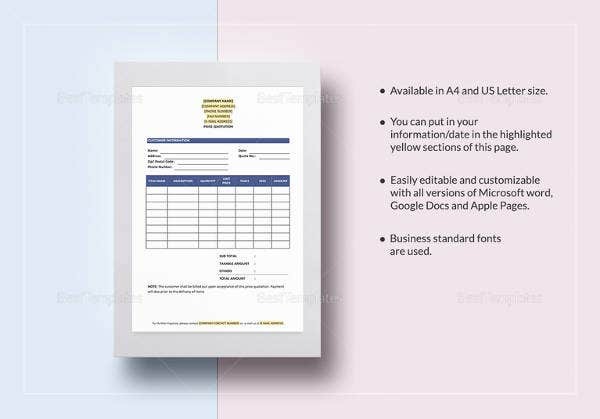 For templates in the XLS and XLSX format, you can access them by entering “quotation template excel” on the search bar found on the upper right corner of the page. 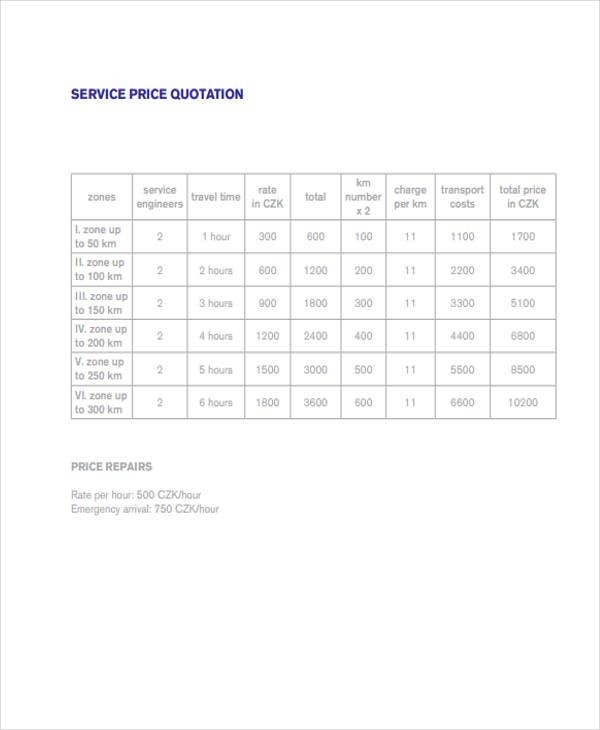 But if you’re looking for templates on the price estimates, then you can also check out our collection of Price Quote Template.